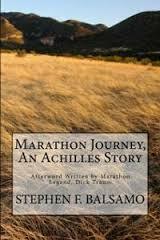 Stephen F. Balsamo’s Marathon Journey, An Achilles Story is not so much a tale just for runners but for those who embrace and are uplifted by tales of courage and the overcoming of obstacles physical and emotional. Adamu’s tale begins in an idyllic childhood in his native land, and ends, through a series of events, from the brutal to the sublime, on the streets of New York City, almost improbably (given the initial setting of the tale), at the finish line of the New York City marathon. Balsamo incorporates real-life events and people with his own characters. The story line gathers momentum as it builds to its’ climax. It reveals Balsamo’s affection for, and respect of, competitors in life, as well as on the competitive roads of The Big Apple in this all-too brief tale. 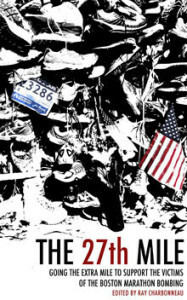 Balsamo’s descriptions of the NYC Marathon as viewed through the eyes of his characters will doubtlessly stir memories in readers who have participated in that now-world famous event. During his journey from Africa to America, Adamu is exposed to the worst and best that humanity offers and must find, within himself, the essence of a marathoner: endurance, the internal fiber to overcome tragedy, the humility to accept charity, and ultimately, the courage to step outside what one sees as their known world. 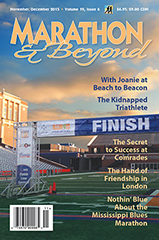 Click here to purchase Marathon Journey, An Achilles Story through Amazon.